Aakash – The 35$ Tablet! 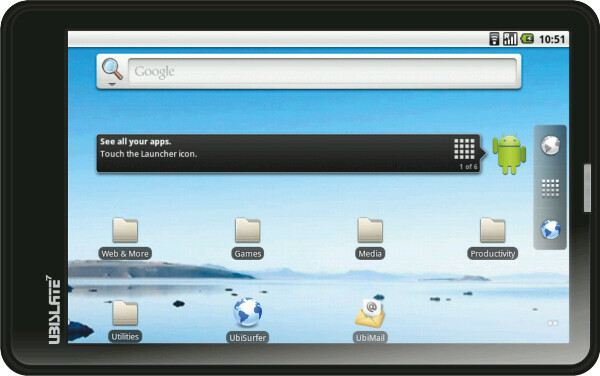 Aakash is an Android 2.2 (Froyo) powered device with a 7-inch resistive touchscreen. It will not feature many applications that might be available in the high end tablets but, with such an amazing price tag one cannot really ask for more. The retail price will be around 60$ (Rs. 2999) but will be available at subsidized rates for 35$ (Rs.1750). The Indian Government expects the price to gradually drop down to 20$ (Rs. 1000) and ultimately to 10$ (That’s just Rs. 500!). It is certainly an amazing breakthrough and can certainly help in improving the quality of education in the country. This isn’t a tablet which is for the gadget-geeks and is not meant for giving performance which will be in comparison to the iPads and the high end Android tablets. It is meant for a specific purpose which it will hopefully fulfill. The tablet has had its own controversies due to its ultra-low cost but hopefully, this tablet will be a success in the country.